Hello beautiful friends! This has been an amazing month for Kelly Kruse Creative. I’ve received new commissions and the start of my Etsy shop has been strong for the past two weeks! I want to thank each and every one of you who has supported me through your purchases, encouraging words, and for those of you who came out for my very first open studio event! I especially want to thank my husband and my best friends for the many long conversations, hours, and times spent pouring into this pursuit of picking back up on painting. I love you all. In the spirit of this gratefulness, I’m doing my first giveaway on Dream Make Repeat! I’ll be giving away a custom 11×15 ink drawing! It will be in the spirit of “morning bars” and “sunset bars” (pictured below). You have the option for me to leave the painting unmatted, or I will send it in a white mat. If you win, you can specify the two base colors (for example: orange and blue) and the metal leaf (silver, gold, or both) and I will make you a custom painting! Winners will be drawn at random. 1) Pin an extra 3 pins of paintings from the shop! (1 entry per 3 pins) Please post the links to those pins in the comments below and mention that they are your extra entry. 3) Like my facebook page, Kelly Kruse Creative, & share a link to your favorite painting from my Etsy Shop on your facebook page, use the hashtag #kellykrusecreative and tag Kelly Kruse Creative in the post. 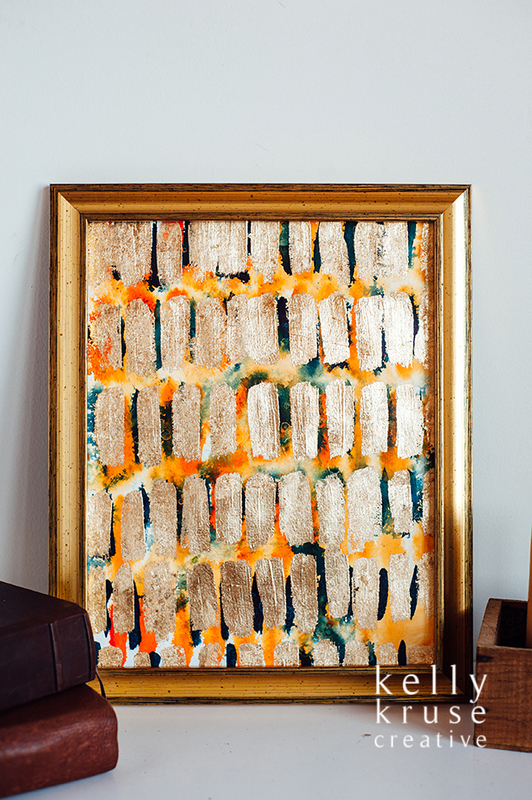 I will be giving away a 16×20 painting in the same style as “morning bars” (above – you can also pick the colors & metal leaf) to the person who makes the most social media mentions! 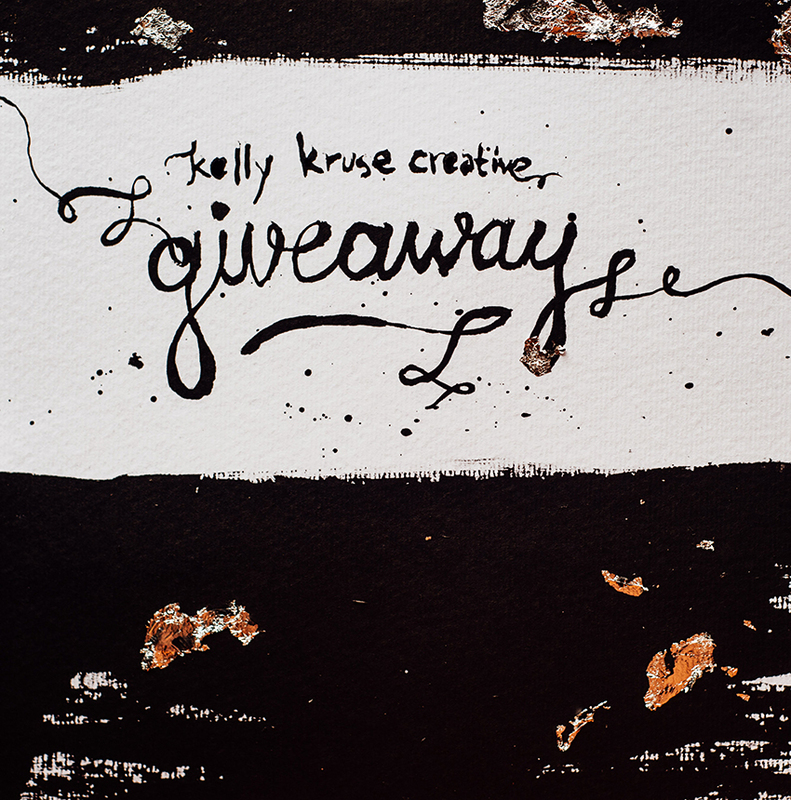 Thank you for helping me to spread the word about Kelly Kruse Creative! I can’t wait to see which paintings you like the best! This giveaway is open until May 15, and the winners will be contacted shortly after. Happy to see you here, Kelly! As mentioned in another post, I have been missing your beautiful posts! Now, I had better get to liking and sharing and posting to see if I can be the lucky winner! Congratulations on all your successes! A. Rusty orange and blue. I love your work Kelly!!! Thanks! Now I am off to ship today’s shipment from my Etsy shop, Facetfully, to Germany. What fun! I hope you get lots of traffic from your post today. “I am dark but lovely” is probably one of my favorite things you have made in this collection! I’m posting some thing later. I love it. Your work is absolutely amazing. And, I don’t have a preference for colors. I want to leave the creative process to the creator. Whatever strikes you, is what I am happy to display in my home! These are all on my “BRAND” board. I love your incorporation of gold leaf and black and white. It is just stunning. I can’t pick a favorite! I’m so excited about your Etsy Shop! I’m not on Instagram, but I’ll share on Facebook! You deserve the recognition. All the best to you and Ayron! You are so multi-talented, so gifted! I have loved seeing your artwork on facebook these past few weeks. The colors are so striking. I think my favorite is “The far off place”. Here’s my first entry for your art giveaway! I will share away! Your work is breathtaking! Here is my first EXTRA entry! I love every painting you’ve done. Sincerely. 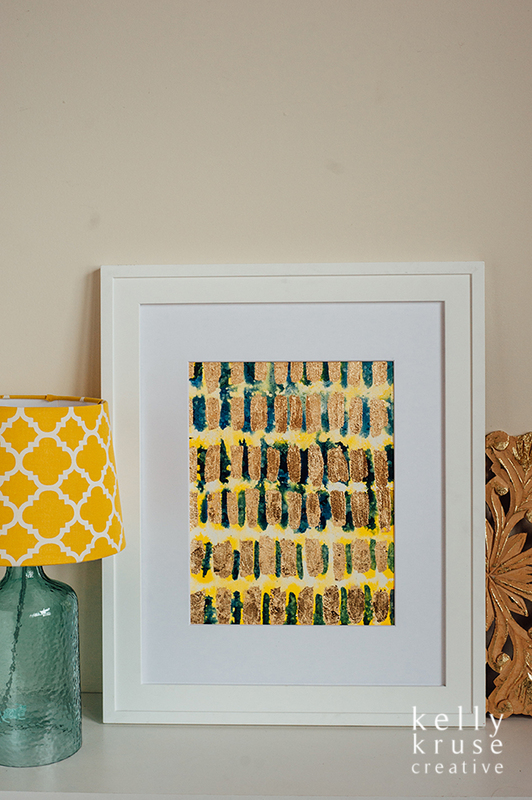 Your palette is amazing – teal and gold is my favorite color combo of all time! (I still wear earrings you made me in the same colors, and always get compliments on them. I love saying “my artist friend made these” :)) I think the bars theme is a winner (classic; almost Klimt-like) but also love the florals you’ve recently added to your shop. Kelly I have been following you forever!! I just cannot get over your talent, absolutely incredible. All of your work is amazing! There are several I love, but one of my favorites is, “If You Lead Me I Will Go.” Love the blues and oranges with gold. Canvas, unmatted. Cannot wait to see what else you have in store!! I forgot the link!! Oops!! Artist’s choice, should I be the lucky winner. You always pick the best colors! I pinned the im very dark but lovely when I first saw this it just appealed to the artistic creative side in me!! Kelly you are so amazingly talented. I would let you choose matted or unmatted but I do like purple so whatever you did with that would be entirely up to you. A. Same or similar colors to Sunset Bars! I love the colors in this piece. Love the work you have been doing…. I’m a huge fan! a) love the orange/blue combo! Congrats on following your dream and sharing it with the world – excited to watch you fly! I want them all! I can’t get over my obsession!!! I absolutely love your artwork!! I finally got to see one in person at Shareese and Tony’s place, and it was as amazing as I had imagined. Your work is absolutely stunning. I seriously am in love. My dear friend-I love every single thing you do-you are so talented!